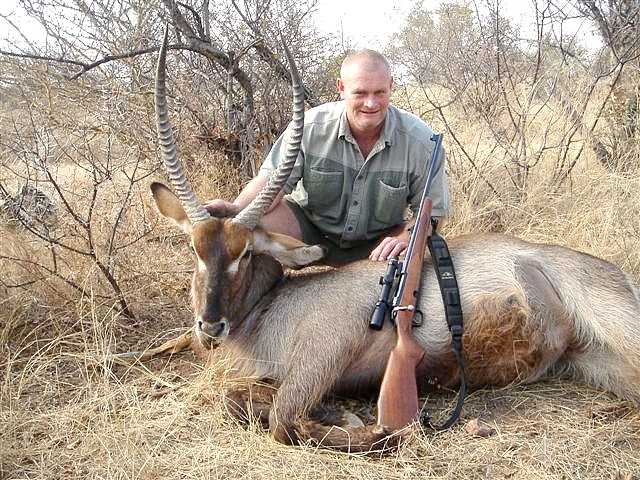 The Waterbuck was shot in Maastroom on the farm Oudepost in July. Calibre used: 9.3x62 with 230gr HV. The load I used was S335, 59gr at 2620 fps. The buck was shot at about 9am - I had been following it for about 1 hour, but could not get a clear shot at it. It reached a break that had been cut and used as a fire break. As it got into the clearing it stopped and presented a clear shot at about 60 metres. I shot it on the shoulder and the bullet exited on the other side, just behind the shoulder. He ran 10 metres and collapsed. 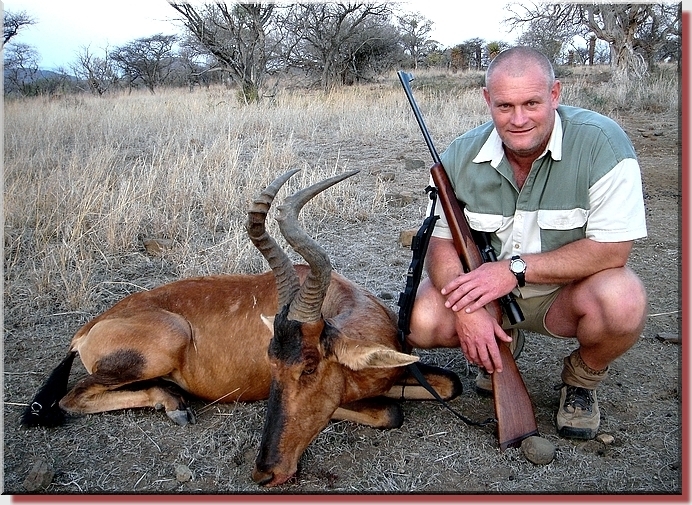 Eugen shot this Red Hartebeest with his 9,3X62, using GSC 230gr HV AT 2620FPS. The distance was 150 meters. The bullet entered behind the shoulder, with the exit wound double the calibre size and with little bruising. 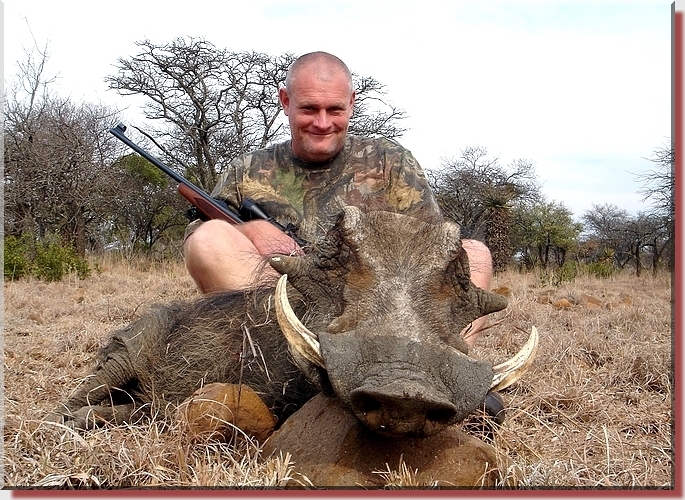 The warthog below was shot with the same rifle at 100 meters. The entrance hole was at the left front shoulder and exited the right back leg, as anticipated. The exit wound, once again, was double the calibre size. "I am very happy with the performance of a great bullet - thank you!"